Joseph is one of the seminarians our council supports. He has been a Knight since 2010. He was born in Reno Nevada and moved to Haltom City at age 7 and then to Arlington at age 20. He has four older sisters and a younger brother. He was instituted as an acolyte by Bishop Vann in 2010 and that got him started thinking about a vocation in the clerical state. Before receiving the call to the priesthood, he worked as Systems Analyst for Citigroup/Banamex. He earned a BS in Business Administration/Information Technology from Colorado Tech University and an MS in Information Systems from Stevens Institute of Technology. He married, and later considered becoming a deacon. Then in 2013 his wife died and he decided to become a priest. From his marriage he has a 22 year old daughter who has a BS degree in biology. He will complete all his seminary formation at Assumption Seminary in San Antonio. He has finished four years while completing a BA in Pastoral Ministry and will have three more years of Theology studies to go. John has been our council lector. He became a Knight in 2004 and is 3rd degree. He was born and raised in St. Joseph Missouri and came to Ft Worth in 2004 when he retired. He had been the assistant traffic manager and ballistics foreman for Remington Arms in Missouri. . He came to Ft Worth to care for his mother-in-law. He is an acolyte and has helped with the St Thomas food pantry for many years. When the St Thomas food pantry closed he started helping with the mobile food pantry. He is also a Eucharistic minister and lector. He enjoys golf and travel and gardening. John is one of those people who stays quietly in the background but is always ready to step in and help when you need help. We’re glad to have you in our council John. Mathew has been a Knight for 15 years and was recruited by Charlie Parr and Rene Feif. Mathew is our council Church director. He came to Ft Worth in 1974 to escape from New York City. He’s been at St Thomas for 25 years and ‘does a little bit of everything”. He’s given his life to God. His parents are deceased and he has one sister in Ft. Worth with whom he sees now and then and helps her out when he can.. He enjoys watching sports in general. George has been a Knight for about 16 months. Bruce Mallory recruited him. (Bruce seems to have taken over from Charlie Parr). He is already a 3rd degree Knight. He moved to Ft. Worth in 1981 from New Jersey. He was born in Brooklyn and moved to New Jersey when he was 2. His wife is from Buffalo NY. They met in a bell choir at St. John's in North Richland Hills and were married in 1994. They have a daughter. He has worked for the state of Texas in Child protective services since 1997. He attended UNT getting a bachelor's and master's in social work and is a licensed clinical social worker. He has been at St. Thomas since 1997. He is an usher, a lector and is on the pastoral council. His hobby is motorcycles. Welcome George. We're glad to have you in our council. Marty’s been a Knight for 10 years. Charlie Parr recruited him. He’s a chemist and travels 3 weeks out of 4. In fact his travels led him to Belfast Ireland for a conference and that’s where he met his wife. She’s a professor of applied biology. They met while serving on the same technical committee. Marty graduated from Sam Houston University with a degree in chemistry and mathematics. He did graduate work at LSU. He was transferred by his company to Ft Worth from Houston about 11 years ago. They have been at St. Thomas about 10 years. Marty is on the finance council, and is a lector, a greeter and is on the welcoming committee for new families in the parish. He is a 4th degree Knight. One interesting fact about him is that his great grandfather was a Knight and owned a blacksmith shop. He rode to council meetings on horseback. Instead of badges they wore medallions then and Marty still has his great grandfather’s medallion. Marty learned much of this from his father who is a 93 year old World War II veteran. Josh has been a Knight for about 10 years. He was born in Odessa and came to Ft Worth in 2004 which had better opportunities than Odessa. He works at AT&T as a lead senior content strategist. He’s a UNT alumnus (Go Mean Green). He has 3 children all active in sports with his oldest on a soccer scholarship at college. He’s been at St Thomas for 8 years where he is an usher at 10:30 Mass and helps with religious education traffic control. He volunteers for other events when he can. When he has time (about twice a year) he likes to play golf. Congratulations to Josh for his commitment to our parish, our community and our council and to being January’s Knight of the Month. John has been a Knight for 3 months and is already a 3rd degree. He was born and raised in Gainesville, TX. He came to the DFW area 45 years ago when he went to work with his brother-in- law as a roofer. He used his construction experience to become a catastrophic insurance adjustor. He’s lived in Bedford, Keller, Boyd and then moved to Eagle Mountain Lake in 2000.
granddaughter, Jessalyn, has had a heart transplant recently. Her body is rejecting the transplant and she needs our prayers. John’s been at St. Thomas for 4 years where he helps direct parking traffic for CCD. much travel which made it difficult to attend meetings so he dropped out. But he’s glad to be back in and plans to join the Knights on Bikes group. He enjoys boating and has a timeshare in Puerto Morales Mexico. John became a Knight in 2006. He was born and raised in Cleveland Ohio where he sold Bridgestone tires. His company transferred him to Ft. Worth area in 1993. He is now retired. He joined St Thomas in 2016 where he is a greeter. He helps with the highway cleanup and prays the rosary in front of abortion clinics. He is often on hand for odd jobs around the parish. He enjoys being a wine connoisseur. for 10 years where he is an usher. Charlie was our Membership Director for 12 years. Charlie served as Grand Knight of our council from 2000-2001 and has held about every position a Knight can in a council. Charlie is a 4th Degree Knight and is a past Faithful Navigator,2006-2007, with GWA 1089. Charlie served as the Color Corp Commander in 2004-2005. Charlie is also a Charter Member of Council 10930. Charlie converted to Catholicism in 1974 and has been a Lector and Eucharistic Minister. Charlie and his wife Lanelle have been members of St. Thomas for 43 years and have been married for 64 years. They have 3 children, 4 grandchildren, and 9 great-grandchildren (and one more coming). Most live in the area as do Lanelle’s 2 sisters. Charlie served in the United States Air Force for 25 years. He was a Chief Master Sergeant and retired as a Nuclear Weapons Superintendent. Charlie worked for the United States Postal Service for 24 years. He was a postal carrier for 8 years and retired as Manager of the River Oaks/Carswell Branch. When time permitted, Charlie liked to go fishing. He is in rehab now Thanks Charlie for all you did for Council 10930 and the community of St. Thomas. Gil is our outside guard and helps with the Christmas party. He’s been a Knight for 30 years with a gap when he experienced a personal tragedy. He was raised in Ft. Worth when his father’s job brought him here. He was born in Fredericksburg and raised for a while in Comfort TX he got his associates degree in 2002 in technical drafting and works for Lockheed tech services as a draftsman. He has been at St Thomas for 4 years and plays electric bass in the choir. He helps with the Cursillo ministry. He’s a DJ and plays the trumpet also. His daughter plays the flute. We’re glad to have you in our council Gil. Eric has been a Knight for two years. Mike Carruthers recruited him. He was born and raised in Mineral Wells and Mexico. He came to Ft Worth in 1998. He works in sales selling fencing and agricultural equipment. He came to Ft Worth to be with his parents he has 5 brothers and 3 sisters. He helped install the fence at the church and helps with the parish picnic. He’s been at St Thomas for 3 years. He enjoys working out and plays some golf. We’re glad to have you in our council Eric. Lynn has been in the Knights for 20 years, he is the father of four kids, Ryan, Kyle, Liam and Hannah and grandfather to two grandkids Addison and Bently. After helping his father, our Grand Knight, with our retention issue, Lynn decided to become more active and accept the position of our Financial Secretary for the Council. He has strived to bring our retention under control and to take our Council into the digital world by getting our website up and running, working on our social media and getting our Council caught up with Supremes digital plans. He stays extremely busy with Knights, his kids, and working on his start-up company. He was baptized, grew up, and was at St. Thomas, and has consider it his home church. Tommy has been a knight since 2005 being recruited by Charlie Parr. He was Inside Guard and then when he became a 4th degree he joined 1089 and worked his way up from Guard, to Scribe, to Pilot to Captain and is now Faithful navigator. He is a Ft Worth native and works for ben Keith foods. He’s and one great granddaughter. He enjoys bowling and has a 170 average.en at St Thomas for 30 years and is a Eucharistic minister.. He’s been married 20 years and has 14 grandkids and one great granddaughter. He enjoys bowling and has a 170 average. Conrad has been a Knight for 6 years. \He was recruited by Charlie Parr. He is a native of Ft. Worth. He’s been at St Thomas for 7 years. He is an usher and helps a great deal with the youth group and VBS. H e and his wife Esther have been married 42 years with 2 children and 2 grandchildren . Conrad has been an aircraft mechanic for 38 years having worked for General Dynamics and then Lockheed. He very much enjoys fishing. Brian joined the Knights in 2004 when he was recruited by Charlie Parr. He has been our council’s financial secretary for the last 9 years just recently retiring from that position. We owe him a great debt of gratitude for all the work he did. Brian was born a raised in Pasadena TX east of Houston. He joined the Marines and was transferred by the Marines to Ft Worth in 1996. He liked the area and stayed when he was discharged. He joined St Thomas in 1999 where he is a lector, Eucharistic minister, and is on the building committee. He has his own company dealing in radio communications, a trade he learned in the Marines. His hobby is learning the guitar (In rare moments of spare time. Many thanks Brian, for all the help you have given the Knights. John was Grand Knight for two years. He is a charter member of our council, and is on the first degree team. He was born in Wisconsin. Motorola transferred him to Ft Worth in 1978. He is a chemist and still teaches a chemistry class at TCC although he is retired. He is a graduate of Marquette University and still has the 1977 Sports Illustrated magazine celebrating Marquette’s NCAA basketball championship. He and his wife Kathy have been at St. Thomas since 1978 where he is a Eucharistic minister and is the assistant Bible study coordinator. He and his wife visit the sick of the parish he enjoys reading and gardening. Joe has been a Knight for 12 years. He transferred from a council in Plano where he had been treasurer. He is the treasurer for our council and is a 4th degree Knight. He’s been in Ft worth and at St Thomas since 2006 where he is a lector and Eucharistic minister. He is a native of Massachusetts. He has worked in the paper industry, moving to Michigan in 1970 and Texas in 1990 . His first wife passed away in 1994. In 2005 he met Marion Stank in Ennis TX at a polka dance Her husband Walter had passed away in 2002. (Walter had been a Knight for 50+ years) Joe and Marion married in Oct 2005. Joe has a son and daughter and is a great grandfather. They both enjoy cruising. Joe also enjoys working around the house music, dancing, and toasting (Tiki Taki, Tiki Taki hoi hoi hoi.) He used to play the accordion. He and Marion do meals on Wheels. Chuck was born in Ohio to a military family and has lived in several states and overseas before making Arkansas his "home" after his Father's retirement. Chuck served in the USAF for 20 years and retired in 2006. He and his wife, Janet, became parishioners of St. Thomas the Apostle in 2006 as well. He currently works in the Public Works Department at the Naval Air Station Joint Reserve Base. Chuck became a Knight in 2011 and has served as Outside Guard for the last two years. Chuck has served St Thomas the Apostle Parish as Facility Manager for the last 7 years. In his spare time he enjoys hunting and fishing. Bruce has done many good things in the Knights. He has been Chancellor, Deputy Grand Knight, Grand Knight and is in his fourth (and last) year as district deputy. State may try to talk him into another position in the Knights. Bruce was born and raised in Topeka Kansas where he became a Knight 12 years ago. He got a degree in finance and accounting and worked for BNSF who transferred him to Ft Worth in 2004 when he also joined St Thomas. He is an acolyte, on the hospitality committee, head of the pastoral council and on the building committee. He is also the coordinator for the “keeping Children safe” program. He is head of the NW YMCA board of managers. He plays golf and enjoys travelling if he ever gets any spare time. Kevin is a building subcontractor, very busy but still has time to direct the St Thomas festival every year and he’s on the building committee too. He was born and raised in Irving. He’s been at St Thomas since 2010. He went to East Texas Sate in Commerce TX and got a degree in construction management in 1987. He started out in heavy civil engineering building roads and bridges. He formed his own company in 2007 but because of the recession didn’t start it up until 2010. He also does home remodeling . He’s been a Knight for 10 years. He and his wife teach natural family planning in Spanish. They just got permission from Fr. Mathew to hold classes in the hall. They had been using their home. He’s also helped with the night shelter. St Thomas Parish owes him a big debt of gratitude. Tu Doan is our Knight of the Month. He’s been a Knight for 13 years and has been at St Thomas since 2002. He came to Ft Worth from Houston in 2001. He has been the council Community director and has run the highway cleanup for the last 6 years. He wants to turn over that job to another Knight. He has run a cleaning business for years and is cutting back in anticipation of retiring. He is a Eucharistic minister .He and his wife Kim have 3 children. He participate sin many community service projects and enjoys tennis when he can get time for it. We’re glad you’re here Tu. Larry Pierce is our November Knight of the Month. He’s been a Knight for two years and has been at St Thomas for 3 or 4 years He was raised in Rosenthal TX near Waco. He came to Ft Worth in 1998 when he was transferred by his employer the State of TX as a Work Force Councilor. He is now retired and helps a great deal with the St Thomas food pantry. Charlie Parr recruited him for the Knights. He and his wife have two children; a son and a daughter. His hobbies are woodworking and welding. Thanks for all your help in the food pantry Larry. 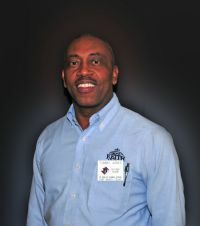 Marty McCoy is our knight of the month for August. Always smiling and well kept, describe this pillar of our Order. He is a Lector at St. Thomas, and always dresses appropriately for the task. He is often away from town due to work, but makes all meetings and functions when able. Marty has been a knight for 5 years. Thanks, Marty, for all you do! Congratulations to Tommy Jones for being selected as Knight of the Month. Tommy has been a Knight for 8 years. Tommy is a 4th Degree Knight and in the Honor Guard. Tommy has served as our Outside Guard and serves as the Scribe for Assembly 1089. Tommy has been at St. Thomas for 30 years. He is a Eucharistic Minister and helps usher. Tommy and Donna have been married for 16 years. They have 5 children and 13 grandchildren. Tommy has worked for Ben E. Keith for 28 years and Donna has been with Motion Industries for 21 years. Tommy enjoys bowling and Donna enjoys reading and crocheting. They are both active in their Church. Thanks for your service to Council 10930 and St. Thomas. Congratulations to Glenn Sperry for being selected Knight of the Month for April. Glenn has been a Knight for 12 years. Glenn is a 4th Degree Knight and is our Council Inside Guard. Glenn is on the Fort Worth Major Degree Team and helps with the music for our 1st Degree Ceremonies. Glenn has been a member of St. Thomas for 45 years. He helps with the food pantry, meal on wheels, and is a Eucharistic Minister. Glenn and Cynthia have been married for 5 years and have 6 children and 12 grandchildren. Glenn retired from the Castleberry Independent School District after 35 years as an Industrial Arts Teacher & Bus Driver. Anyone who knows Glenn well, knows his hobbies, water skiing and sailing. Thanks Glenn for your contribution to Council 10930 and St. Thomas. Knight of the Month for March. and Lector at the 10am Mass. and entertaining at his home. to the Knights and St. Thomas. Congratulations to Ed Cervantez for being selected Knight of the Month. Ed has been a Knight for 5 years and is a 3rd Degree Knight. Ed is our Council Recorder, a position he has held for 3 years. Ed helps with many council events. Ed has been at St. Thomas for 6 years. Ed and Vickie have been married for 50 years. They have 3 children, 11 grandchildren, and 4 great-grandchildren. Ed retired from the United States Postal Service after 44 years of service as a Label Technician. Ed enjoys working out and riding his bicycle. Thank you Ed for serving Council 10930 and St. Thomas. for 15 years and have 4 children. 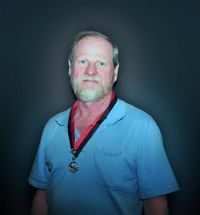 Congratulations to Bill Vosberg for being selected Knight of the Month for January. Bill has been a Knight for 5 years. Bill is a 4th Degree Knight, our Warden, a member of Knights on Bikes, and in the 4th Degree Color Guard. Bill helps out with our council events and has been a big part of our participation in the Parade of Lights the past 3 years. Bill is an usher at the 10am Mass and other special Masses. Bill helps put up Christmas lights in the courtyard, directs parking lot traffic for CCD, and helps with church events. Bill and Pat were married at St. Thomas and have been married for 39 years. They have 2 daughters, 1 son, and 2 granddaughters. Bill is self employed in the small engine/lawn mower business, a trade he has been in since 1988. When he can find the time, Bill enjoys riding his motorcycle and fishing. Thank you Bill for all your time and effort you give to Council 10930 and St. Thomas. Congratulations to Jose Sandoval for being selected Knight of the Month. Jose has been a Knight for 3 years. He is a 4th Degree Knight and helps out at council events. Jose has been a parishioner at St. Thomas for 5 years. He is an Usher at the 10:00 Mass and special Masses for Confirmation and Baptism. Jose has 3 kids and is Errol Jolly's Son-in-Law. Jose is a Supervisor in the Keller Independent School District. Jose likes to watch sports and movies in his spare time. Thank you for your help with Council 10930 and St. Thomas. Congratulations to Errol Jolly for being selected Knight of the Month for October. Errol has been a Knight for 3 years. He is a 4th Degree Knight and is a member of the Color Guard. Errol has served our council as Council Director and Deputy Grand Knight. Errol is the Hospitality Director and serves at the 10 & 12 o'clock masses. He is also on the Liturgy Committee and helps with parking lot duty for our CCD program on Wednesday nights. Errol and his wife Carleen have been married for 50 years. They have been at St. Thomas Church for 7 years. They have 3 daughters and 7 grandkids. Errol was a federal employee for 21 years with TRW and is now retired. Errol likes to do handyman work for his family and collect artwork as hobbies. Thanks Errol for all you do at St. Thomas and for the Knights of Columbus. Congratulations to Ray Herrera for being chosen as Knight of the Month for July 2012. Ray has been a Knight for 11 years. Ray is a 4th Degree Knight and is in the General Worth Assembly 1089. Ray is a member of the Honor Guard and is a past Navigator for GWA 1089. Ray helps out at many of our events, helps train and schedule altar servers, and is a Eucharistic Minister. Ray is currently employed with Castleberry Independent School District as a bus driver for special needs children. Ray was previously employed with Can Academy of River Oaks and Allen & Company Printers. Ray and his wife Helena have been married for 24 years and they live in River Oaks. They have 8 children, 11 grandchildren, and 2 great-grandchildren. Ray's hobbies include building model cars, wood work, and handyman work. Thanks Ray for all you do for our council and Saint Thomas. Gil has been in Ft Worth since his father was transferred here from Fredericksburg when he was 8. He’s helped with several events including highway cleanup and several fundraising efforts. He is an engineering draftsman at Lockheed. He’s been at St Thomas about a year he was a Knight many years ago and was reactivated last year. He’s been married 20 years and has two children, a son 19 and a daughter 13. He turned his garage into an apartment to help a relative in need. His hobby is being a DJ and he even makes money at it. Texas he was assigned to Ft. Worth. Kevin has been a Knight since Oct 2005. His father was a Knight for many years but gradually dropped out. He died in1996 and just a few days later a Knight insurance agent knocked on the door with a check. This impressed Kevin. The family didn’t know he had a policy with the Knights. Kevin’s brother is a Knight. Several Knights at Elizabeth Ann Seton parish encouraged him to join and he finally did join that council. He helped build the Knights hall at EA Seton parish. It had been an air-conditioned horse hospital until the parish bought the land. Kevin is a remodeling and construction contractor and has travelled widely. It was while he was on a job in McAllen TX that he met his wife Hazel who lived across the border in Mexico. She spoke no English and he spoke no Spanish but they fell in love and were married. They have been married 10 years and have 3 daughters. Hazel is now a US citizen. His Spanish is not yet as good as her English now. Kevin has been in Council 10930 since March 2010. Tommy has been a member of St. Thomas for 20 years and is a Eucharistic minister. He and his wife Donna have been married for 14 years and between them have 5 children and 13 grandchildren. Tommy has worked in food distribution for 26 years at Ben. E. Keith Co.
Tommy was born in Hillsboro and moved as a youngster to Ft Worth in 1955. He is a serious bowler. Bill Vosberg serves as council Warden and brings the beverages and pizzas for the Council 10930 membership meetings. He became Sir Knight Bill after the Fourth Degree Exemplification this past October. He is a hospitality minister at 10:00 mass and helps with highway cleanups. This year Bill led the effort to remake the “Keep Christ in Christmas” float that carries the St Thomas and Holy Trinity Youth Group in the Parade of Lights and River Oaks Parade sponsored by Council 10930. Bill Vosberg has been attending church at St Thomas since 1968 when his family moved here from Wisconsin. Bill married his wife Pat 11/17/1973. Bill and Pat have three children, Crystal, Kevin, Kimberly, and a granddaughter Maya Dawn Jackson. Bill is owner of Big and Small repair shop. Although Bill is rather small in stature, he fixes the biggest commercial mowers, while his associate, a rather large man, works on the smaller engines.